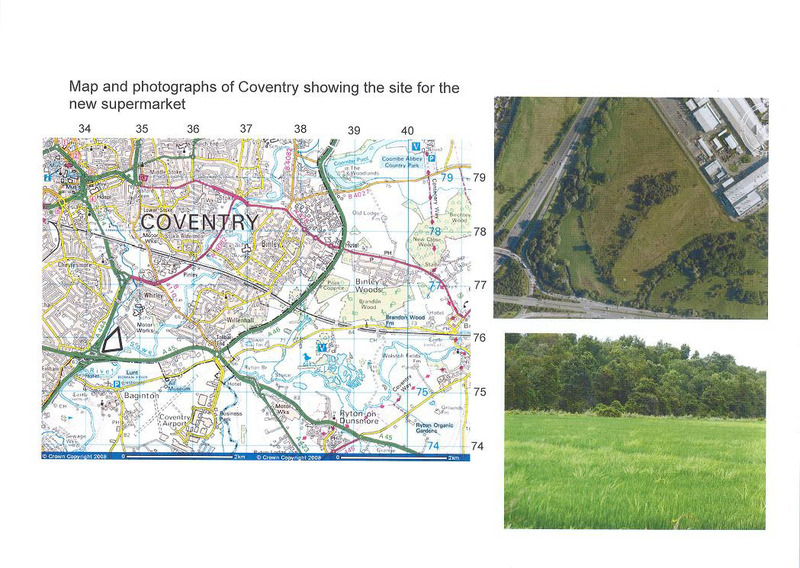 Some ideas here, including the Coventry Supermarket work, a bit about Norwich Riverside and some resources I used a while back whilst teaching about Chocolate. Yes, chocolate! There's some useful stuff on the Ethics of Fair Trade in the CIDA section as it linked to the Fair Deal SPB. The Fashion industry page is also more specialised and has some quite interesting ideas on it. I originally produced these years ago but have sent them to a few people and figured they'd be better off stuck on the web somewhere. The idea is applicable in lots of different places and to lots of different development issues - it could be a housing development next to the A63 in Selby, the development of a new football stadium on the outskirts of Bristol or a new industrial development on the edge of Odense. The files are image files for no reason other than that I lost the original word versions but fortunately had a scan I'd made. I've used this with Year 9 and Year 10 students, but it's adaptable for lower year groups as well I reckon. 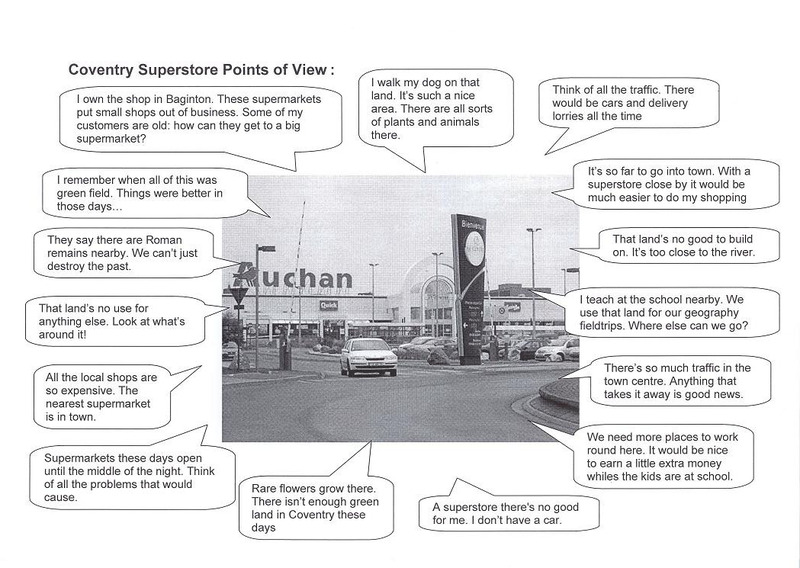 The Speech Bubbles sheet - speech bubbles were always used well in the AQA C spec DME and I've always felt they're a helpful way to present points of view to students. Of course, getting them to write their own speech bubble (or a series of them - perhaps to form a conversation) is a good idea as well. The Maps and Photos sheet - there's an OS map on here which I must get around to doing something copyright-ish with at some point. There are also some images from Google Earth - of course, using Google Earth or Google Maps directly would be even better. It would also be nice to have your own photos of any development. The idea here will, of course, apply just as well to any area. Your home town would be even better than Coventry in some respects - although watch local knowledge creeping in rather than the resources being used directly. 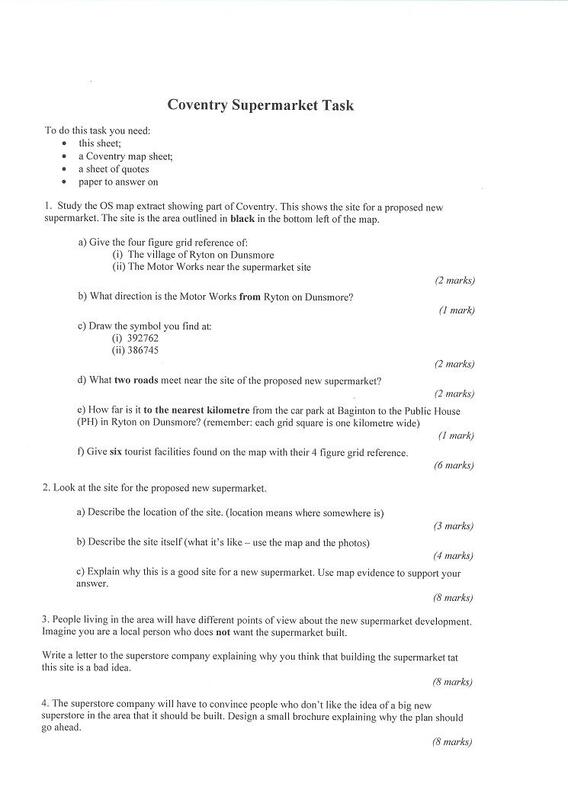 Sometimes you want that, but in a real GCSE exam, for example, it's actually a disadvantage to have a case study chosen which is too local to you as markers can only credit use of the resources provided. Norwich Riverside Revision sheet. This is getting on a bit now but might be useful for someone. This is a copy of a map I developed for an exam paper. For lots of technical reasons I feel I can present it here. 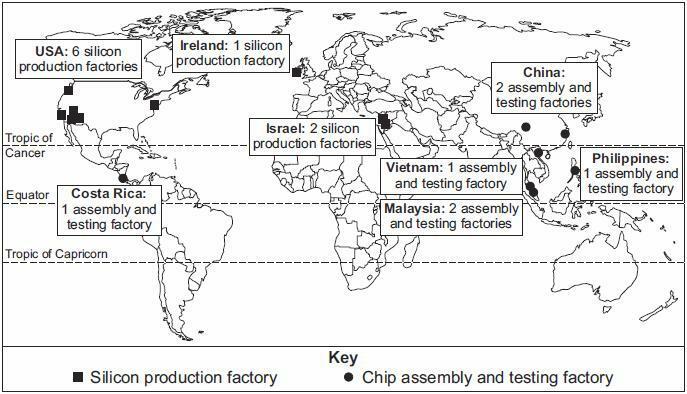 It shows, well, where silicon chip factories are located. More or less. These were developed as fairly simple resources I could use with Year 9. The chocolate industry has lots of good stuff to teach about, and it can be linked to Fair Trade stuff too. You might also want to check out my Ethics of Fair Trade page. This is aimed a little higher than Year 9 probably, but it might still be quite useful. Cocoa producing countries - oh, a one slide Powerpoint with a list of countries on it. Hmm, this must have been useful for something or other - perhaps a mapping task? The chocolate production process - another single slide Powerpoint which might be useful to explain quite what goes on. I think I used it as a way to get into primary, secondary and tertiary industry perhaps. The Fairtrade chocolate investigation - oh yes, a subtle way of encouraging the eating of chocolate in class! Chocolate Results Sheet - needed for the fairtrade chocolate investigation! This page created: 16 July 2010. Last updated: 16 July 2014.